In 1934, when Decca USA was founded as the American branch of the originally British record company, they launced a 7000 series for "race" records - the then usual term for African American music. 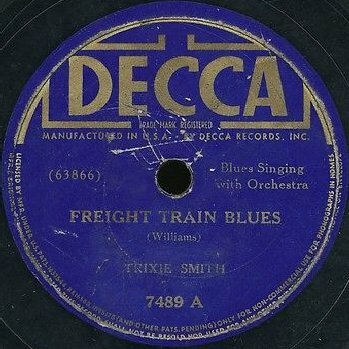 Today a selection of jug bands, blues and small-combo swing that was on Decca 7000 from 1934 to '38. These music styles eventually would eventually grow out to the jump blues and the Rhythm & Blues as we know it from the late forties, thus providing the DNA for Rock 'n Roll and subsequent styles of popular music.